The following was contributed by Dennis Star. With the impending release of Star Trek Beyond in July, and even talk of a rebooted Star Trek TV series, the franchise is back in way that would challenge even the original blockbusters of the 70’s & 80’s. However, the problem with having such a large, universal fan base is that companies assume that fans will scoop up whatever it is that they produce – just in order to own it. This means that quality control has not been at the utmost forefront of many of the Star Trek themed designs, and this is particularly true when it comes to video games. We have encountered some truly horrendous games, but, luckily, we also have those rare gems that deliver on every level. This Star Trek video game was arguably the worst game to be released of the entire lot. 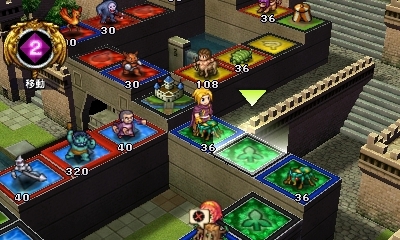 Originally intended for release at the end of 2001 – the game’s makers, Interplay, decided to shelve it for two years due to its financial difficulties. It’s hard to imagine why they picked it up again, dusted it off and tried to make a go of it. Despite trying to improve graphics and game play – the game still fell completely short of many fans’ expectations. Although the back story of the game is pretty great, everything else about it simply sucked. 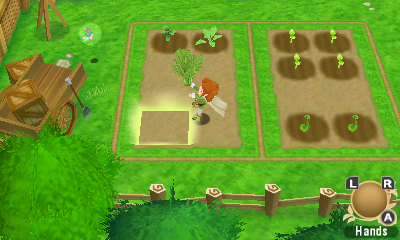 The graphics on PS2 were nothing better than those found years before it was released, clunky and fuzzy – the visuals had a terrible impact on the game. The battles are dull and simply holding down a button almost always ensures that you will win. Absolutely no strategy needs to be employed. Despite the fact that this game was produced 20 years ago, it is a long-time favourite of almost every Star Trek fan. Played mostly on PC this game turned into an almost interactive experience, allowing players to use characters which has used the actual actor’s names. The game involves a lot of dialogue, adventures through the galaxy, running around after clues and battling to your heart’s content. A truly wonderful Star Trek experience. This month is dedicated to the Nintendo 3DS. This is the third May in a row where the 3DS has gotten the most attention on SuperPhillip Central. While the majority of content will be in review form, there are some special editorials and articles dedicated to Nintendo's stereoscopic system on the way. 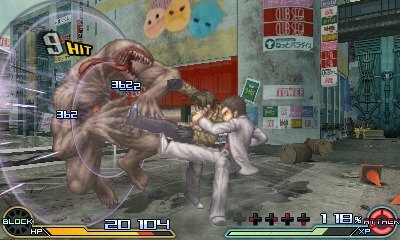 One such article was posted on Tuesday, another edition of the Most Overlooked Nintendo 3DS Games. Today we're going to be focusing on the Nintendo 3DS again, but instead of games already released, we'll be checking out those Nintendo 3DS games that are currently stuck in Japan. 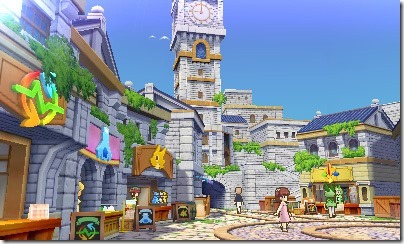 Localizations, Please is back for its third Nintendo 3DS-focused edition! It's pretty gratifying that the majority of games featured in past Localizations, Please editions have actually come over to the West, or have at least been announced to be coming to the West. To get a refresher or crash course on such games, please check out past installments of Localizations, Please. 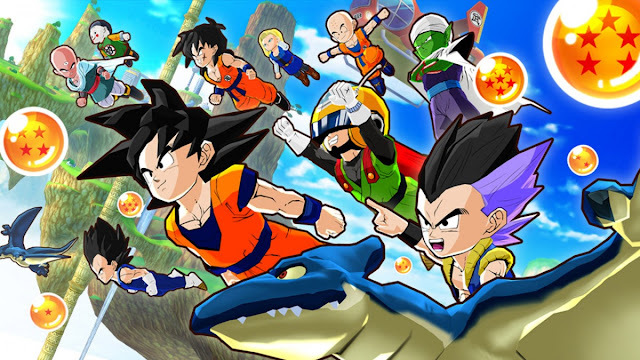 Not too much is known of Dragon Ball: Fusions compared to the other games on this Nintendo 3DS edition's list. However, the main element of the story is that you play as the hero, and you have the ability to travel to a world which is devised up of many locales and time periods from the Dragon Ball franchise. Essentially, any character can be met thanks to this world. Thus, with a special ring, you can fuse with other characters, or have other characters fuse with one another, creating traditional fusions like Gogeta, or brand-new, more ridiculous ones like Karoly, a fusion between Goku and Broly. The visuals from released scans look super impressive, and the art style and design is less realistic and more cartoony, a style I really appreciate. Dragon Ball games generally get localized, so I'm hopeful along with a whole legion of Dragon Ball fans that Fusions will be localized for the Americas, Europe, and Oceania. 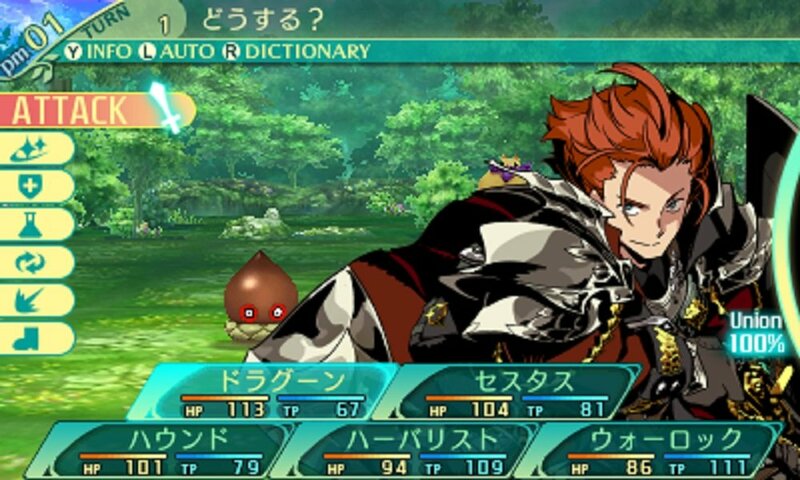 Enter a land called Arcadia, filled to the brim with swordplay and magic, in Etrian Odyssey V. Well, at least enter it once a localization announcement and Western release have both happened. 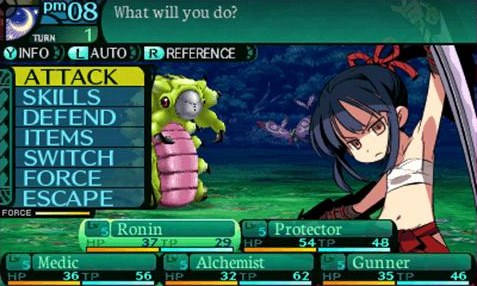 With Etrian Odyssey V it's more of a question of when than if a localization announcement by Atlus will come. Still, it doesn't mean I can't list this game on Localizations, Please anyway! 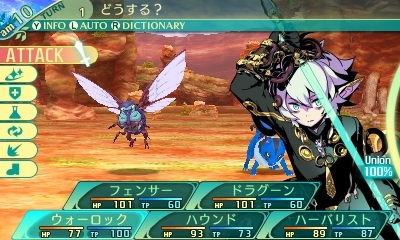 With four races, 10 classes, an abundance of character customization options, and the same enjoyable dungeon-crawling gameplay the series is known for and does superbly, Etrian Odyssey V looks to be an incredible and worthy sequel to the long-running series that debuted on the Nintendo DS. The Japanese release for the game is early August, so here's hoping a localization announcement isn't too far after... or maybe even before. Nah, I'm getting greedy! The Puzzle & Dragons series first appeared on the Nintendo 3DS a year ago with a twofer package: one featuring an all-new story with new characters and the other featuring the Super Mario Mushroom Kingdom cast. Puzzle & Dragons X is the next in the series hitting the Nintendo 3DS, offering the similar yet addicting match-3 puzzle battles the series is well known for, as well as an authentic RPG style story mode where players will not only level up their monsters but also the hero of the game. Packed with an impressive 500+ monster roster, Puzzle & Dragons X is shaping up to be one fantastic puzzle-battle adventure that I would love to see get a Western release. Hop on it, Nintendo and GungHo Online Entertainment! The Culdcept series is an action-packed board game featuring cards as the main gameplay element. The upcoming ten-year anniversary release of the series, Culdcept Revolt for the Nintendo 3DS was announced back in November, and this week it received a release period: this July. This new installment of the franchise features greater accessibility for new players, faster play, over 400 cards with half of those being new, and plenty of other goodness. Many here in the West would love to see the game released on this side of the world, especially after watching Nintendo's 20+ minute Direct featuring lots of footage from the game. 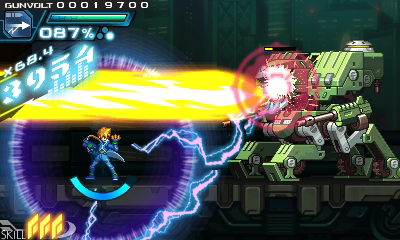 While Azure Striker Gunvolt has already released in the West and its sequel featuring two protagonists is set to launch over on this side of the Pacific as well, the actual physical release that combines the two games on one game cartridge has yet to be announced for the West. As someone who is a major proponent of physical releases (gotta have something tangible for the shelf, after all! ), the idea of having both games on one card is highly appealing. I can only imagine how many other collectors of Nintendo 3DS games feel the same way. Plus, it's always nice to free up some space on the ol' SD card. Regardless, not only would a Western release of the Striker Pack be worthwhile, but it'd also be sought after by collectors like myself. 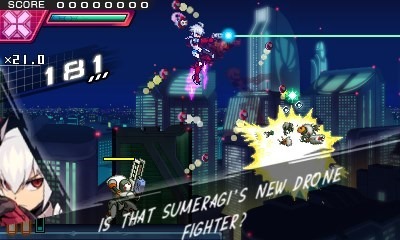 Here's hoping Japan doesn't hog the physical version of both Azure Striker Gunvolt games for itself! Star Fox Zero released several weeks ago. (Check out SuperPhillip Central's in-depth review on the game here.) After digesting all that game had to offer, I felt the need to take a look back at other games in the Star Fox series. This is where the idea for this top ten list today came from. It's dedicated to the best showdowns, aerial or land-based, in the Star Fox series's illustrious two decade plus history. 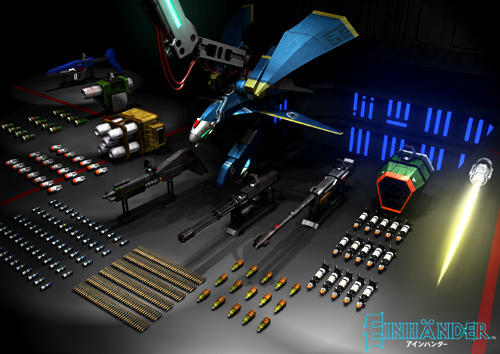 Since there are spoilers of Star Fox Zero included, take a look at the list after the break. The Most Overlooked series of articles is back with a brand-new edition! Here, we're going to be taking a ninth look at some of the more overlooked Nintendo 3DS titles in the system's exhaustive library. This time around each of these games has seen a retail release. These games were passed over when compared to other releases, didn't receive much spotlight or fanfare, or just were plain glossed over. After you've checked out the latest five Nintendo 3DS games to make it on the Most Overlooked list, check out past editions! Developed by Monolith Soft, best known recently for its work on Xenoblade Chronicles X for the Wii U, Project X Zone 2 once again pairs up characters from publishers Namco Bandai, Sega, and Capcom in one epic crossover story. This time around Nintendo adds some characters into the fray with familiar faces from Fire Emblem Awakening and Xenoblade Chronicles. 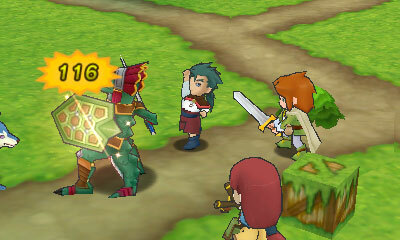 Maneuver characters around the battlefield and initiate battles with the enemy with high-powered and impressive moves. 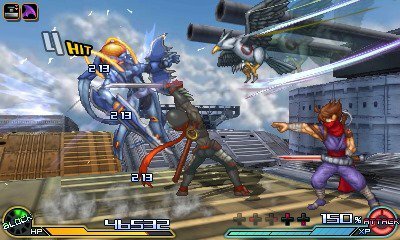 Thankfully, Project X Zone 2 is nowhere near as repetitive as the original, and though it has a modest difficulty overall, the game's pure charm and humor will keep you going till the very end. Travel to the kingdom of PopoloCrois and outside its boundaries in this cute and endearing RPG. Play as Prince Pietro, thrust out of the kingdom by an evil sorceress, wanting nothing but to return home. Easier said than done, but Pietro isn't alone on his journey to return to PopoloCrois. 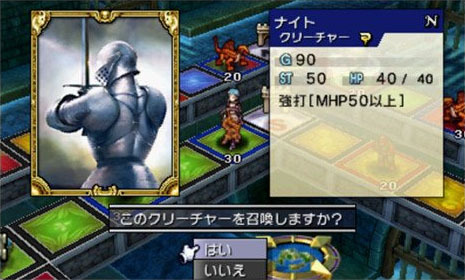 He has numerous helpful and for players of the PSP game, familiar faces to assist him in the grid-based combat. 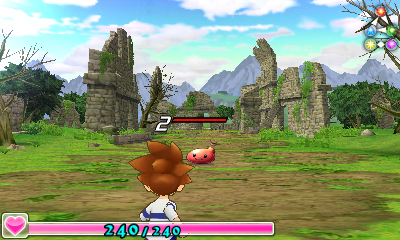 Explore a myriad of dungeons and areas, farm crops and mine materials, and battle fierce enemies both large and small. Expect a review for Return to PopoloCrois later this month-- right here on SuperPhillip Central! 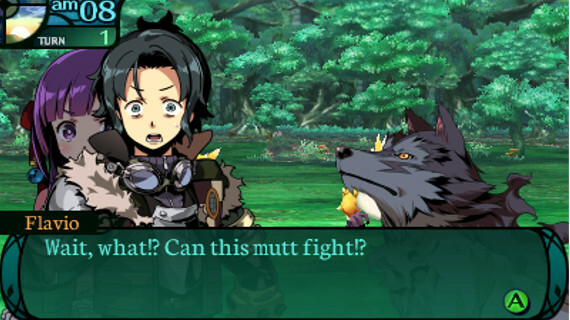 A remake of Etrian Odyssey II: Heroes of Lagaard, Etrian Odyssey 2: Untold - The Fafnir Knight (not the most elegant to pronounce title) is a retelling of that Nintendo DS cult classic. It features a whole host of new content, including two main modes: one is the update to the DS game with new and improved dungeons, and the other is the Untold portion, a totally new story mode with beautiful animated cutscenes. All this with a glorious new graphical coating and orchestrated soundtrack add up to a sensational treat for dungeon-crawling fans yearning for a fresh take on the Etrian Odyssey series as they wait for the (hopeful) localization announcement of the fifth mainline game in the series. Don't worry, friends. 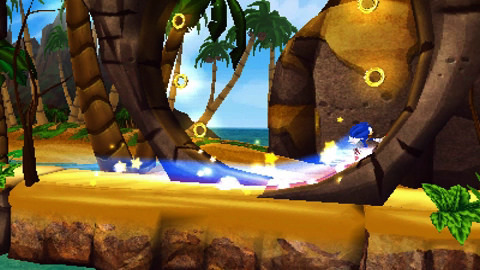 I know what you're thinking (maybe), but no, Sonic Boom: Shattered Crystal isn't the massive train wreck that the Wii U's Sonic Boom: Rise of Lyric was. While definitely imperfect, Sonic Boom: Shattered Crystal offers a lot of interesting ideas in its relatively short campaign. The levels are lengthy, encouraging exploration, and it's quite fun to do so, using each characters' different abilities to make progress and reach new areas. The racing levels, which are so popular that they're getting their own mode in the upcoming sequel, releasing this September, are a great deal of fun, as are the worm hole stages. It's not a fantastic game (wow, Phil, you really know how to sell this game! ), but it offers a lot more than those who passed Shattered Crystal over as some generic licensed game. While Vocaloid singer Hatsune Miku has a legion of fans in her home country of Japan, she hasn't seen the same amount of success in the West. Still, there are several loud pockets of fans here and there sprinkled across the Americas, Europe, and Oceania. 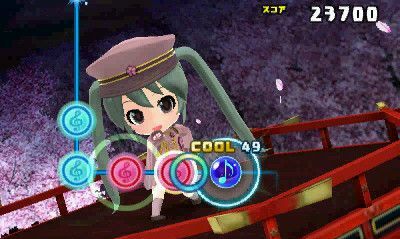 Hatsune Miku: Project Mirai DX is an updated version of the Japan-only Project Mirai. This new edition saw a Western release with compelling touch-based or button-based rhythm centric gameplay. Tap, touch, and slide to over 40 unique and infectious vocal themes. While not totally ignored on the Nintendo 3DS, one could make a good argument that this series is better served, at least in the West, on the more otaku-oriented handheld, the PlayStation Vita. 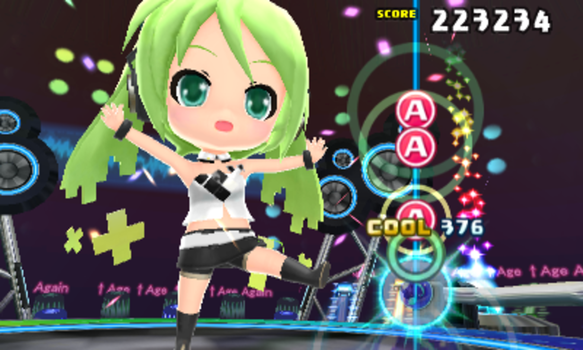 Don't get me wrong, though-- I really appreciate Ms. Miku gracing Nintendo 3DS owners like myself with her presence. Welcome to a post-Mother's Day edition of SuperPhillip Central's Favorite VGMs! I hope you treated your mothers like the queens they are! This edition of the VGMs features music from a wide variety of games from many systems. We start off with Adventures of Mana, Mario Kart Wii, and Monster Tale. Then we finish up with some Einhander and SimCity 3000! Just click on the name of the VGM volume to get transported to the YouTube video featuring that theme. And, if you like what you hear this edition, check out the VGMs featured in past editions with the VGM Database! SuperPhillip Central covered Adventures of Mana in review form early last month. If you want a more modern version of Final Fantasy Adventure that still has old school sensibilities, then definitely check Adventures of Mana out. You get great presentation values from the beautiful 3D models and environments to the remixed and remastered soundtrack. Endless Battlefield is the overworld theme, a song heard so much yet it never gets tiring to listen to. 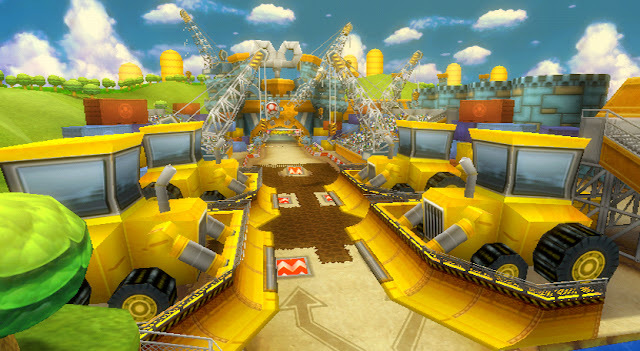 The fourth and final race in the Mushroom Cup of Mario Kart Wii, Toad's Factory is home to tractors that serve as makeshift half pipes to perform tricks off of, conveyor belts, and heavy machinery that can get in one's way while speeding around this partly indoor, partly outdoor track. The theme is pure jazz, delightful with every note. While Mario Kart Wii is far from my favorite home console Mario Kart due to the amount of items one will get hit by in a given race, it still gave me plenty of happy memories. Here comes an overlooked title. I like to feature unknown and relatively unknown games on SuperPhillip Central, and SuperPhillip Central's Favorite VGMs is a terrific opportunity to do so. 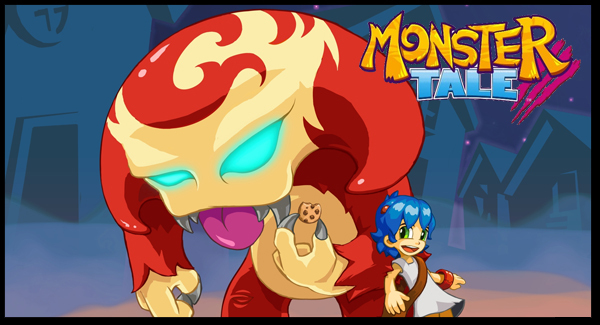 Take Monster Tale, created by the developers behind Henry Hatsworth in the Puzzling Adventure and Disney Epic Mickey: Power of Illusion. It features a lovely soundtrack. 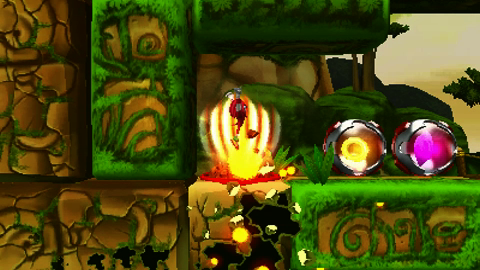 This piece comes from the ancient ruins area of Monster Tale, the hub area of the game. Talk about relatively unknown games, the Squaresoft published Einhander features quite a different soundtrack style compared to other titles released by the publisher around that time. The more electronic-driven soundtrack is notable not just for sounding different when compared to the various Final Fantasy games and Chrono Cross type titles, but it's also notable for being just pure excellence in musical form. A beautiful, riveting track to listen to while building the metropolis of your dreams, SimCity 3000's Magic City begins with a gorgeous piano accompaniment before transitioning into a sensational saxophone melody. 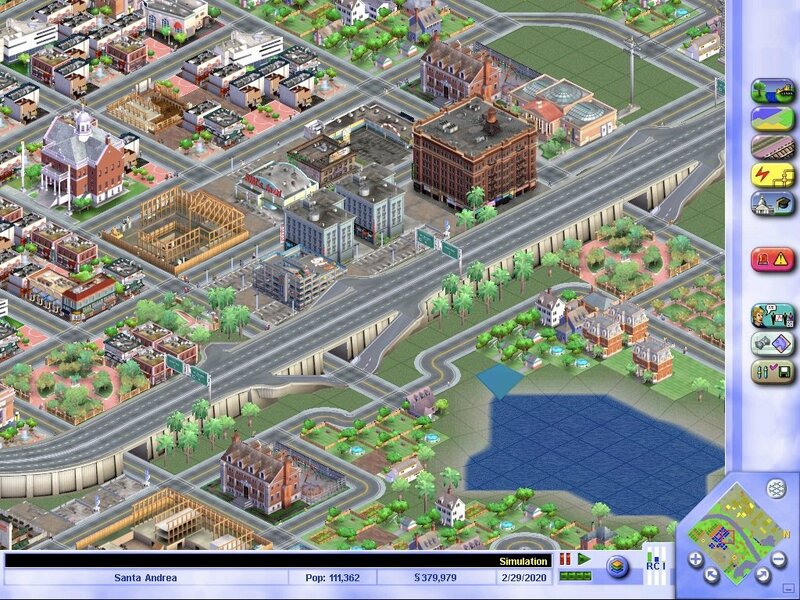 Magic City is a mysterious and moving theme that is one of my favorites from the fantastic SimCity 3000 soundtrack. Coming soon to Minecraft - Wii U Edition is a special Super Mario Mash-Up Pack, featuring several familiar Mushroom Kingdom characters and locales. Alongside this, a retail version of the game will release on June 16 for $29.99. If there was any reason for Nintendo fans to jump into the world of Minecraft on the Wii U, this is it.